Below are some of the most frequently asked questions about our community. How can your community help my loved one? Ecumen Prairie Lodge provides Assisted Living services for people with complex medical needs, while our Memory Care services help people at all stages of memory loss. Our household provides a safe environment with secured entrances. Our onsite licensed nursing staff and resident assistants are available 24/7, which allows us to provide the security of round-the-clock nursing care. How do I know if the community is right for my loved one? Ecumen Prairie Lodge has provided care in Brooklyn Center, MN, since 2005. We offer Assisted Living and Memory Care in our mission-driven, nonprofit, senior living community. Our reputation for quality, compassionate care and building relationships with residents, families and friends is woven into the fiber of everything we do. 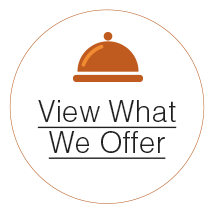 What do you offer in Assisted Living and Memory Care? Both Assisted Living and Memory Care offer opportunities for socialization, structured activities, three delicious fresh-prepared daily meals, housekeeping, emergency alert system, and health services. Each resident receives an Individualized Service Plan. In Assisted Living, we help residents with the Activities of Daily Living (ADLs), such as showering, dressing, grooming, diabetes management (including sliding scale), two-person transfers and mechanical lifts. Our Memory Care neighborhoods are secure. What health care services are offered in Assisted Living and Memory Care? We offer a full menu of health services. Each resident receives an individualized care plan, which changes as needs change. We partner with The BlueStone Physician Group to provide an on-site Nurse Practitioner and Physician. Health insurance covers these visits, just as they would at an off-site clinic. What options are there to pay for a suite and services? In addition to private pay, Ecumen Prairie Lodge accepts Long-Term Care Insurance and Veterans’ Aid and Attendance. Some residents receive public assistance, such as Elderly Waiver and CADI. Family and/or responsible parties are responsible for the application and approval processes for these programs. If I need public assistance, will I have to share a suite with someone else? Regardless of how payment is made, our suites are comfortably sized for one individual. At times, a couple may choose to share a suite. We believe it is the resident’s right to privacy. In Memory Care settings, it’s more comforting for residents to have a space for themselves and when family visits. What’s different about Assisted Living at Ecumen Prairie Lodge? We offer Assisted Living in a small single-story neighborhood of 30 residents. Each resident has a private suite with large windows, steps away from our Dining and Activity area. We support residents who may have more complex medical needs, such as sliding scale diabetes and requiring greater assistance in transferring from bed to chair or other sitting areas. The Resident Council directs our Dining and Life Enrichment Team in menu and event planning. Because of the small setting, residents become friends and care about each other. How does the staff get to know the resident? When a resident decides to move in, we include an “Honor Portrait” in the welcome packet. We ask about the resident’s history, including birthplace, family history, occupation, schooling, spiritual preferences, and military service, and food and activity preferences. What’s more, we ask about each Memory Care resident’s current routine, interests (past and present), sleeping habits, routines, things they enjoy and things we should avoid. All staff is required to review this information in order to ease the resident’s transition to our community. Who provides the furnishings in the suite? Because this is the individual’s home, each family provides furnishings. It’s fine to put things on the walls. (Telephone and cable TV are not included in the base rate.) Should medical equipment be needed, a physician’s order will be required. Do you allow pets in the suites? Yes, based on the resident’s ability to care for the pet, as determined by the nursing assessment and Housing Director. Cats and birds are permitted in our Memory Care. A non-refundable fee is charged when the pet arrives, along with a monthly maintenance fee. 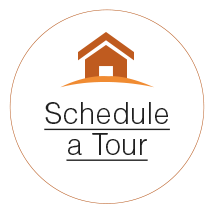 Call (763) 233-0641 to find out about the move-in process and to schedule a tour.